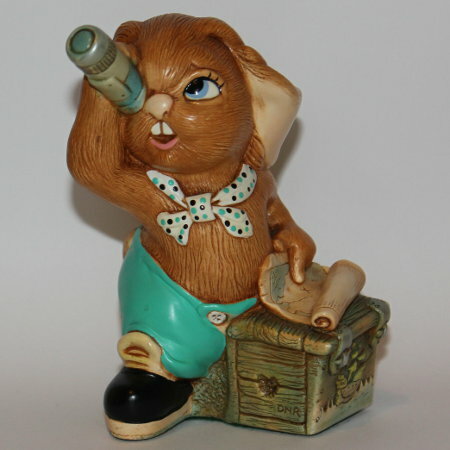 PenDelfin rabbit Jim Lad designed by Doreen Noel Roberts and produced by the PenDelfin Studios in England from c1986 until 1992. This PenDelfin Jim-Lad is wearing turquoise coloured trousers with matching spotty scarf! 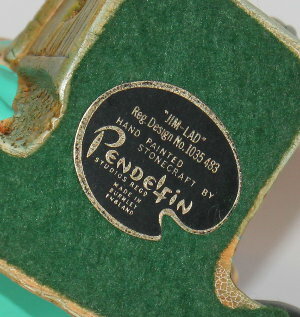 On his base this PenDelfin rabbit has his green felt and PenDelfin artist palette, Jim Lad, label. Condition: Superb overall condition. A great PenDelfin rabbit for the PenDelfin Jetty or Shrimp Stand.